Updated Thursday August 4, 2016 by Saskatoon Minor Basketball. If you are looking for a way to pick up some new skills or get a refresher on your exsisiting skills this is the best way to do it! 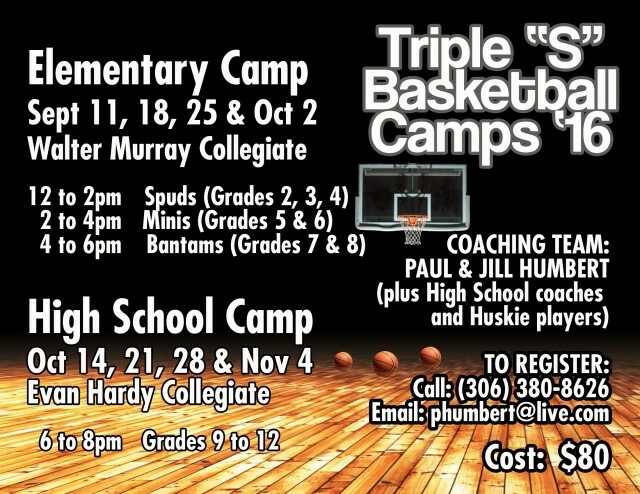 The Triple S Camp offer great instruction with experienced coaches! If you are interested please contact Paul Humbert with the email or phone number on the poster.